Six Poets: From Hardy to Larkin is a wonderful anthology of poetry; it’s a book that I know I will go back to time and time again. I was already a fan of Philip Larkin but I knew only a little of the other five poets so it was fascinating to learn more. Alan Bennett’s voice comes through as you read this anthology, his wonderful personality and enthusiasm run right through the book. It was fascinating to learn in the introduction that Bennett used to feel that 'literature was a club of which I would never be a proper member' and that there are still poets that he has never managed to read and hearing about them reminds him 'how baffled one can feel in the face of books'. Immediately this is reassuring to anyone who picks this book up that they are in good hands, that this isn't an academic book, this is a book for everyone to enjoy without needing any prior knowledge or understanding of poetry. 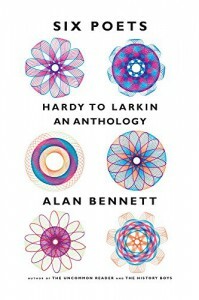 Alan Bennett selected over seventy poems from six poets - Thomas Hardy, A. E. Housman, John Betjeman, W. H. Auden, Louis MacNeice and Philip Larkin - for this anthology. Each poet is introduced with a brief biography, which is followed by selected poems interspersed with candid commentary. The way the book is set out, with the poets being written about in chronological order, allows the reader to easily understand how one poet was influenced or inspired by his predecessor. Some of the poems Bennett has chosen from one poet link together with poems form another in the anthology, which again makes it easy to grasp common themes and how each poet put his own stamp on a sometimes similar idea. Bennett strikes a great balance between serious biographical information and amusing anecdotes. 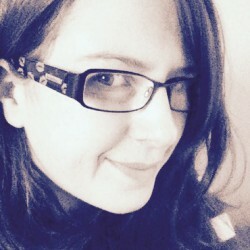 We learn that Larkin ordered that all his papers be destroyed after his death, and that Hardy wrote a poem in tribute to the wife he treated terribly when she was alive. He then proposed to his second wife by pointing out a plot in the cemetery next to his first wife’s grave and explaining that it would be hers! Auden couldn’t bear to edit his work so he would take the best of what he’d been working on and put it together with his favourite lines saved from his other unfinished works and make it work as a single poem! Six Poets was an utter joy to read. I thought I would enjoy the part on Larkin the most seeing as he is one of my favourite poets already but Bennett introduced the other five poets in such a way that I very much enjoyed reading about them too and feel that I have a better understanding now. I rate this book ten out of ten and I can't recommend this book highly enough! Six Poets: From Hardy to Larkin is out today on Amazon. I received this book from Yale University Press via Net Galley in exchange for an honest review.